It’s a Boy! 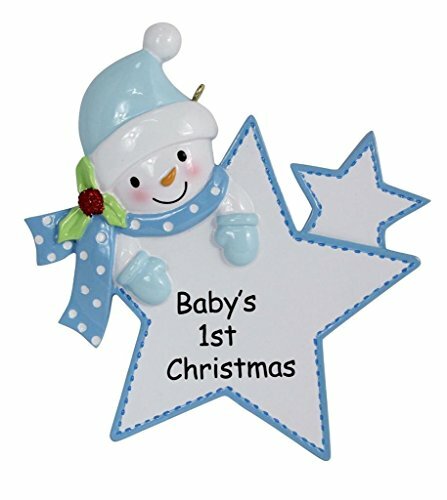 Baby Boy First Christmas ornaments make great baby shower gifts because it just might not be the first baby shower gift that comes to mind. 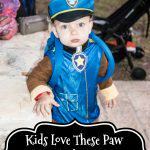 Your gift will float to the top of all the onesies, baby toys and other gift multiples at the next baby boy baby shower. 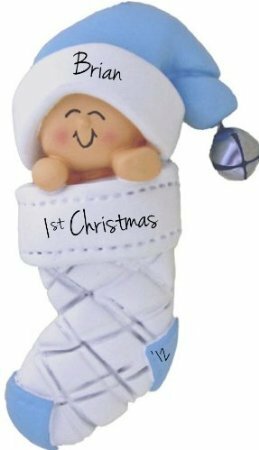 In fact, use one of these adorable baby boy first Christmas ornaments as a decoration on any gift you give at the baby shower. That’s two gifts in one! 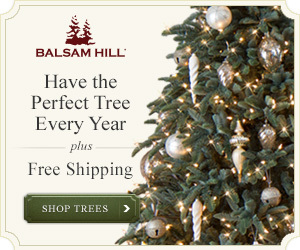 Don’t just think of these Christmas ornaments as baby shower gifts though. 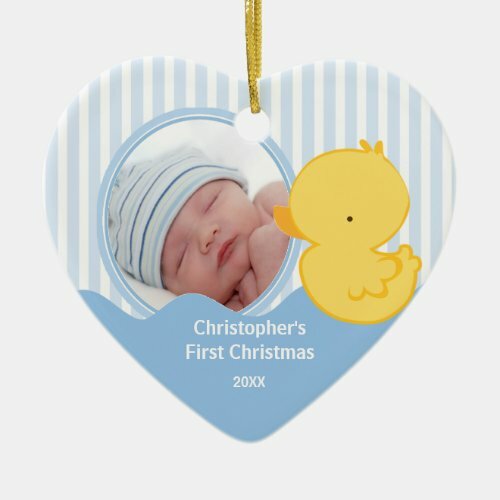 Give a baby boy first Christmas ornament to a new or expecting grandparent, aunt or uncle. 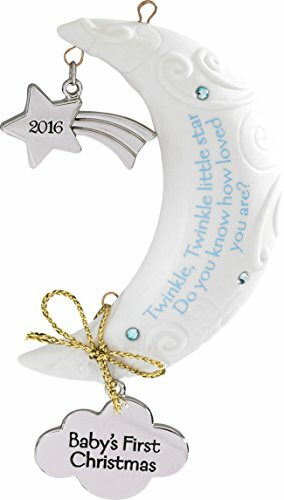 Give a set of ornaments to friends and family as unique new baby announcements. 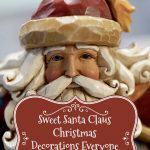 Want more ideas for giving baby boy (or baby girl) first Christmas ornaments? 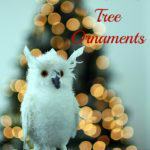 Give a new graduate or newlywed a set of ornaments with their baby pictures in them! Won’t that be a hoot? 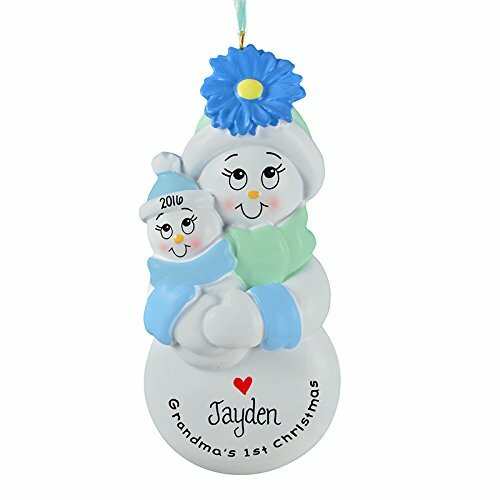 Got any more ideas for giving Baby Boy First Christmas ornaments as gifts? 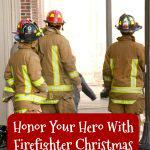 Chime in and leave a comment! The baby boy first Christmas ornaments at the Ornament Shop are so adorable. 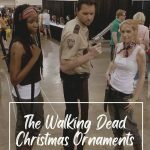 These ornaments are just a sampling of the beautiful ornaments available. 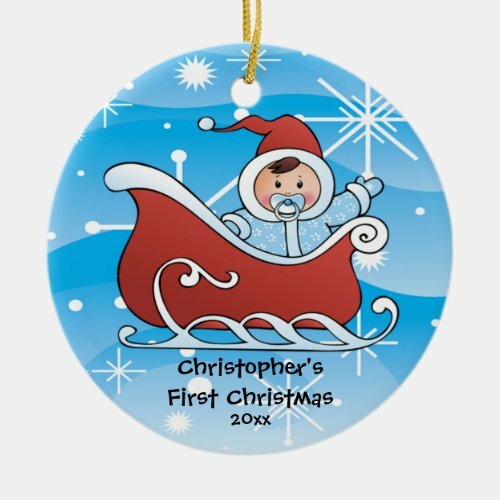 Personalize one of these ornaments for your baby boy’s 1st Christmas and you’ll have a keepsake to treasure and pass down. 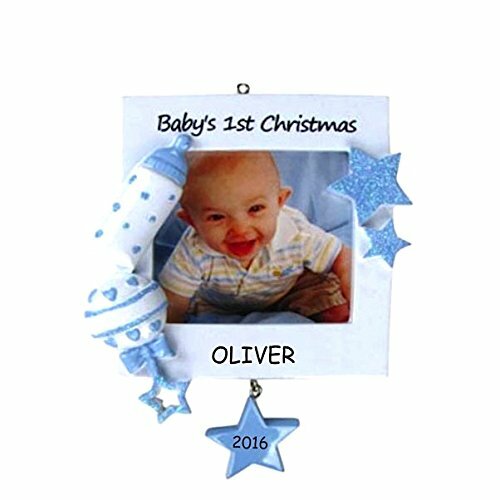 Or give the gift of a personalized Christmas ornament to a friend or loved one who welcomed their new baby boy during the year. What a sweet Christmas gift for the new parents! 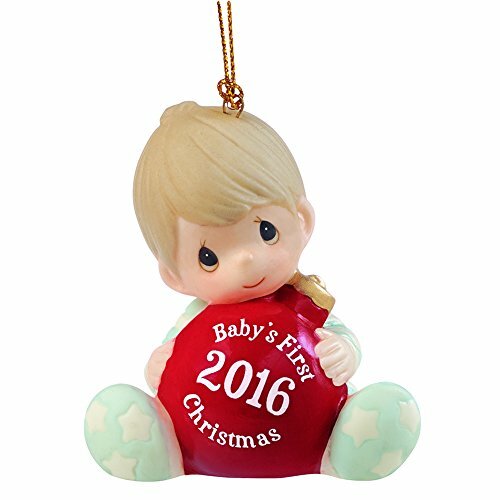 Click on one of the ornaments to visit The Ornament Shop and see what a beautiful selection of baby boy first Christmas ornaments they have. 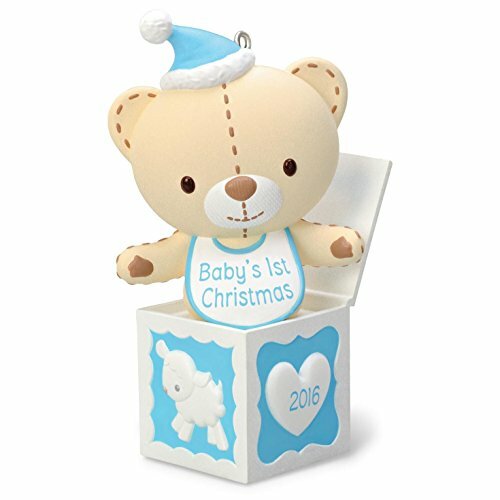 Amazon has a huge and really cute selection of baby boy first Christmas ornaments. 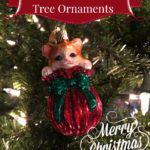 Precious Moments, Kurt Adler, Hallmark; those are just a few of the ornament companies with sweet little boy first Christmas ornaments available. Take a look at this sampling of what’s available on Amazon. 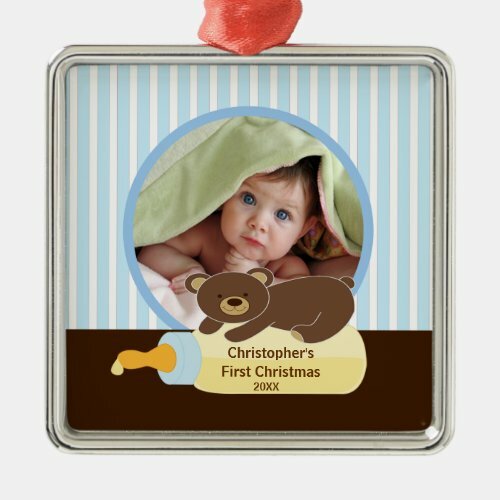 The custom designed baby boy first Christmas ornaments on Zazzle are some of the cutest ornaments I’ve seen. 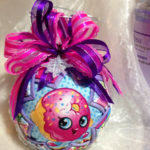 Many can be personalized with the baby’s name and/or birth date. 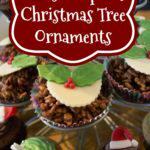 There are ceramic and metal ornaments in various shapes and sizes.